Quality Prints, printed there and then and popped into a strut mounted frame to take home. 12 foot space for large group photos (unlike a photo-booths limited space). 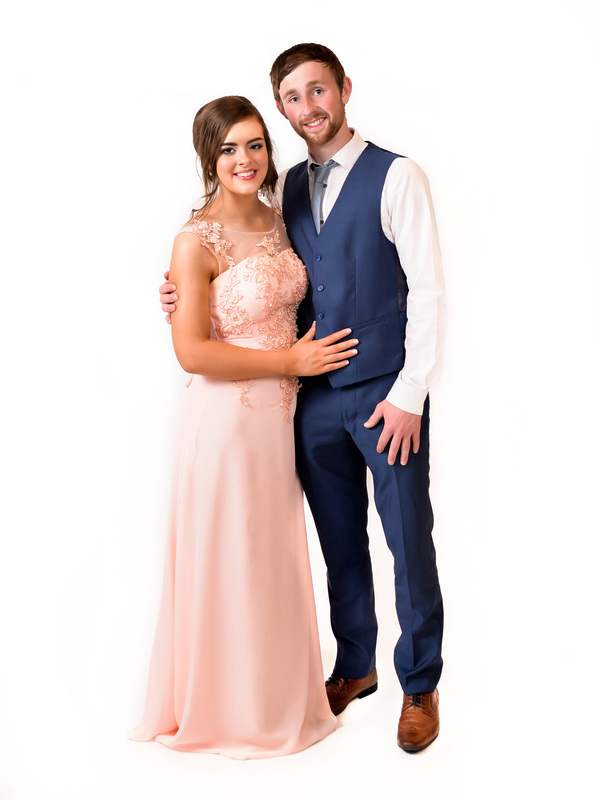 Offer both Fun Photo booth style pics + Professional Formal Photos . Ideal for families, couples, young and old. ﻿﻿﻿﻿﻿﻿﻿﻿Set up generally in your reception room before 9.30pm, just before your first dance. 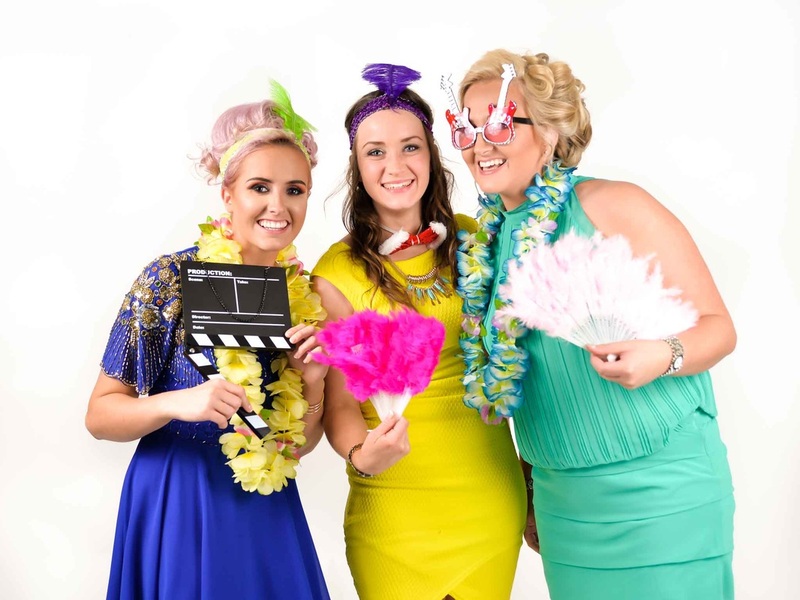 Guests have the opportunity to come along and have their fun or formal photo taken, with our large expanding range of props. Guests will view their photos on screen. 9x6 inch print in a strut black with silver bar frame. We use the latest technology in printing, which means professional quality prints instantly(not like photo booths). Generally finish at 1am; but if there are still guests coming along we won't disappoint them. *Note in some cases this service is FREE to book for Brides and Grooms; so if in doubt, just ask. ﻿﻿If you have any inquiries about what I can offer feel free to get in﻿﻿ touch here. 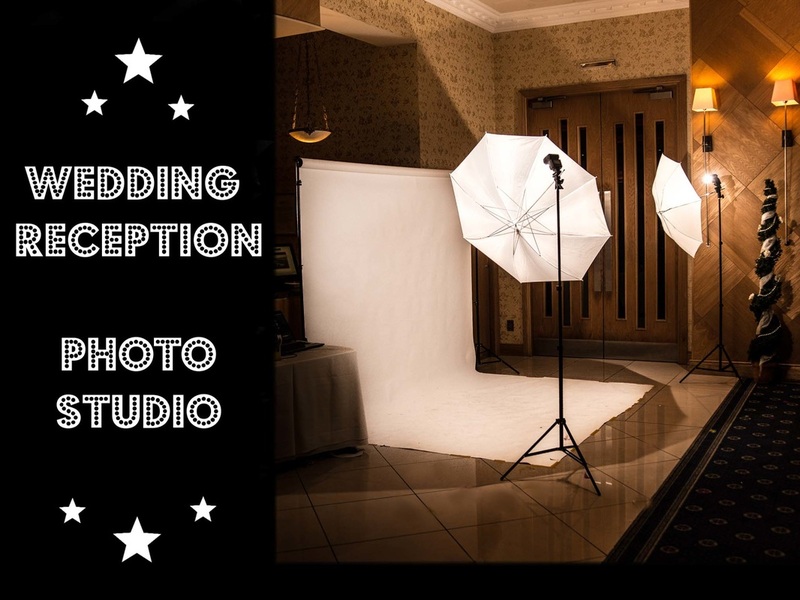 My Photo Studio also covers; Gala Balls, Dinner Dances and all Black Tie events.